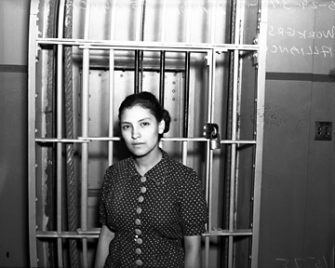 Emma Tenayuca standing inside jail, June, 1937, San Antonio, Texas. On Jan. 31, 1938, 12,000 pecan shellers, mostly Mexican American women, marched out of the factories in San Antonio to demand better working conditions and higher wages. They unanimously elected Emma Tenayuca as their strike leader. What started out as a movement for organization for equal wages turned into a mass movement against starvation, for civil rights, for a minimum wage law, and it changed the character of West Side San Antonio. Historians regard this as the first successful large-scale act in the Mexican-American struggle for civil rights and justice. Portrait by Robert Shetterly, available as a poster for $20. Click for more information. Emma Tenayuca was born in born in San Antonio, Texas in 1916. Through her work as an educator, speaker, and labor organizer, she became known as “La Pasionaria.” From 1934-48, she supported almost every strike in the city, writing leaflets, visiting homes of strikers, and joining them on picket lines. Her first knowledge of the plight of workers came from visits to the “Plaza del Zacate” where socialists and anarchists came to speak. Contact with fired workers led her to join the Communist Party in 1937 and the Workers Alliance (WA) in 1936, an organization of the unemployed founded by Socialists and Communists, 90 percent of whom were pecan shellers and agricultural workers. 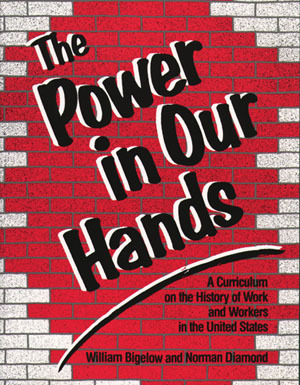 The WA held demonstrations for jobs, not relief, and demanded that Mexican workers had the right to strike without fear of deportation, and to a minimum wage and hour law. As a result of anti-Mexican, anti-Communist, and anti-union hysteria, she was forced to leave Texas to ensure her own safety and well being. She returned to San Antonio years later to work as a teacher. 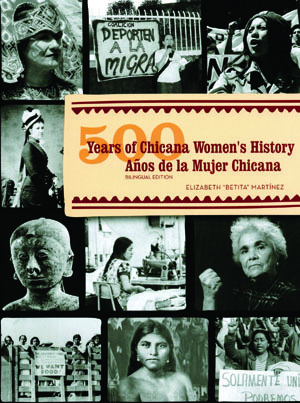 La Pasionaria, we called her, because she was our passion, because she was our heart –– defendiendo a los pobres, speaking out at a time when neither Mexicans nor women were expected to speak at all. 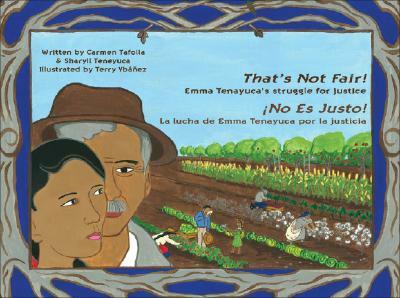 Learn more about Emma Tenayuca’s life and legacy in the children’s book That’s Not Fair! 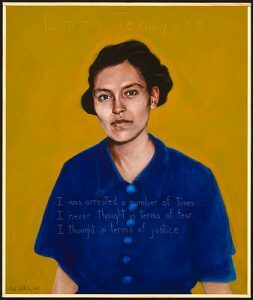 Emma Tenayuca’s Struggle For Justice/¡No es justo! La lucha de Emma Tenayuca por la justicia.